We reviewed a number of apps, among others apps from easyMarkets, OctaFX, Plus500, Markets.com, Alpari International, FXPro and HotForex. Based on these reviews we found that eToro’s app is the best trading app in UK. And then FXTM and AvaTrade also got their apps in the top three trading apps in the UK market. The wonderful news for you as a trader is that all these three apps are completely free. 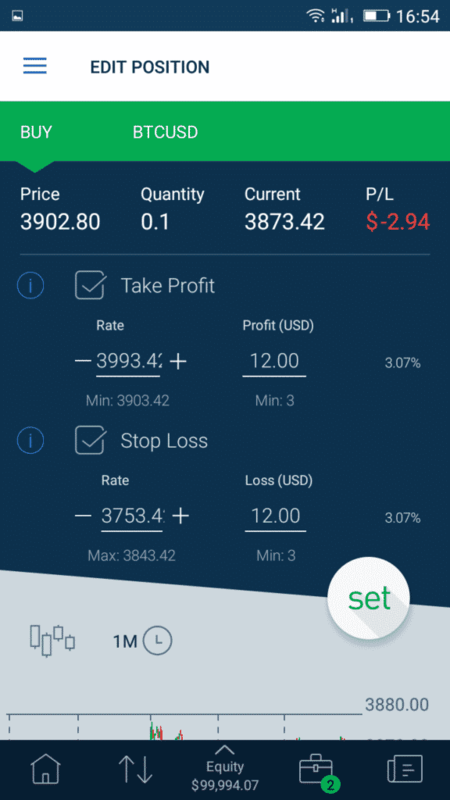 These free mobile trading apps for UK are furthermore run by brokers that are correctly regulated and thus you can feel safe about your money. But as always with trading, never invest more than you can afford to lose. Below you can read our reviews of these top three trading apps. 1. eToro Social Trading App. 2. 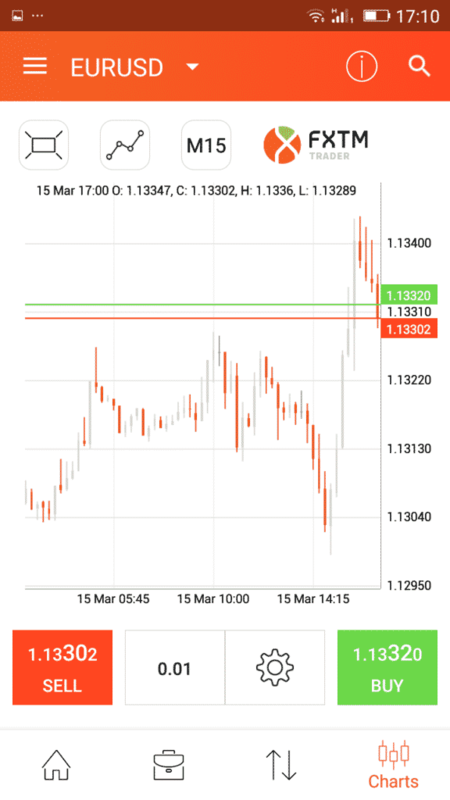 FXTM Mobile Trading App. The most important feature of your mobile trading app would be the possibility of cross-platform trading, i.e. you should be able to enter a trade on your desktop and close the same trade in the app. Another important aspect is how simple the app is to use. The easier the better. Furthermore, the app needs to make a wide variety of assets available for trading, to fulfill all of your trading-related needs. Of course, you also want the app to provide both live and demo accounts. This way, you’ll be able to test the app and to practice in it before you start using it for real money trading. In-app copy trading is also a feature you will likely appreciate. And lastly, on your part, you will need a highly reliable connection to avoid potentially very costly mistakes. eToro is a brokerage focused on social trading, while being involved with scores of other finance-related ventures. 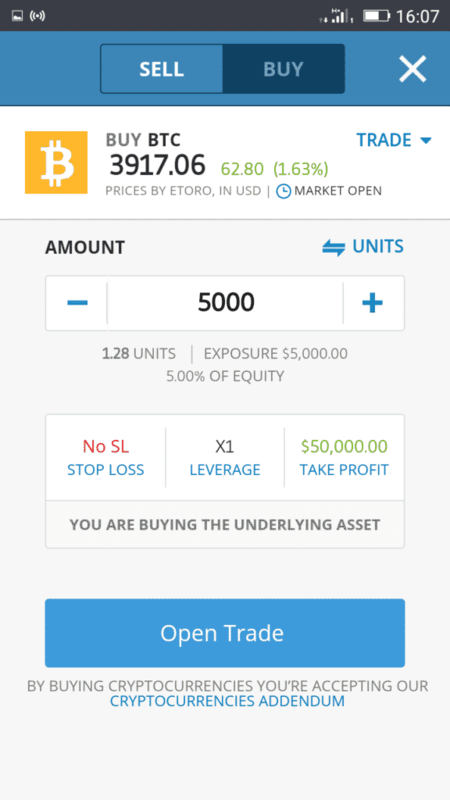 eToro is one of the few brokers that deal in actual cryptocurrency trading and services. Its mobile apps, the Android as well as the iOS ones, are a proper reflection of this focus. The Android app is easy to use, highly functional and it has racked up a very decent score at Google Play. It is much more than a simple mobile trading platform. In addition to actual trading, it gives traders exposure to the most interesting crypto markets. Its social component lets traders copy their peers, as well as make their trades available for copying. Having been installed by more than 1 million users, the eToro Social Trading App is indeed one of the most successful mobile trading solutions ever. The app supports real money trading as well as a virtual portfolio. Through this, traders can put their skills to the test risk-free. There’s a handy watch list and opening a position is as easy as clicking on one of the tradable assets on this list. Traders can then set their investment amount, as well as their SLs and TPs. clicking the Open Trade button. Keeping an eye on open positions is just as simple. Those looking for advanced features (such as social trading), will find everything they could possibly need under the Menu button in the top left corner. This is where users can copy other traders, where they can take a look at their portfolios and invest in CopyPortfolios. The eToro club can be accessed from here as well. Users can invite their friends, they can tinker with various settings and they can withdraw their funds. The size of the Android app is just 24MB. It can be downloaded and installed in under a minute. Registering is also quicker than with most other brokers. The iOS version of the app is significantly larger at 67.8MB. Fewer people seem to use it and its user rating is poorer than that of the Android app too. Despite that, the iOS app delivers the same functionality as the Android one, and its user interface is similar as well. Skilled traders can use the iOS or the Android app to become popular investors and to eventually earn 2% off the assets under their management. This second revenue is paid directly by eToro. ForexTime offers a number of mobile trading apps, covering Android- as well as iOS-based devices. Its Android offering is quite interesting. There are in fact two app versions available out there: an older one, called simply Forex Time, and a newer version, called FXTM Trader. Of the two, based on Google Play reviews and ratings, the older one seems to be the more popular. Both versions are available for free, and they can both be downloaded and installed in about a minute or two. The older Android app, Forex Time, features a blue/teal color scheme, and it is 22 MBs big. More than half a million people have thus far installed it, and the majority of these people have thought it worthy of a 5-star rating. The app was last updated on October 3, 2018, so the broker has obviously stopped focusing on it. The newer version, which continues to receive updates, features a bright, white color scheme. Some users have actually complained about it being too bright. There is currently no night color option available. The new app is only 12MBs big and some 100,000 people have thus far installed it. Like the old version, the new one provides access to MyFXTM, Forex news and market analysis. As far as appearance and supported features are concerned, the iOS app is quite similar to the newer version of the Android mobile app. It features the same bright color scheme, and the same functionality, yet it is 45.2 MB big. Still, downloading and installing it will not take more than a minute or so. The same cannot be said about the account registration procedure, which is a rather lengthy one. It includes a suitability test, and only would-be traders who pass this test are allowed to go on using the mobile platforms. Live and Demo accounts can be opened through both Android apps as well as through the iOS one. All mobile app versions support cross-platform trading. 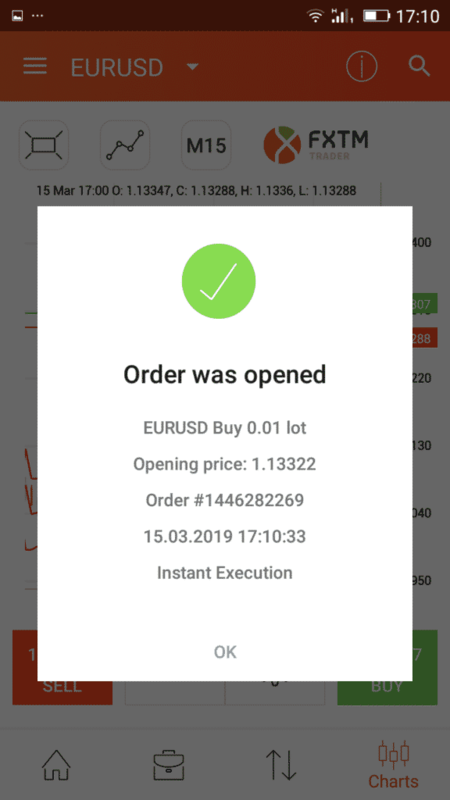 What this means is that the trader can open a position on Desktop and close it through one of the mobile apps. 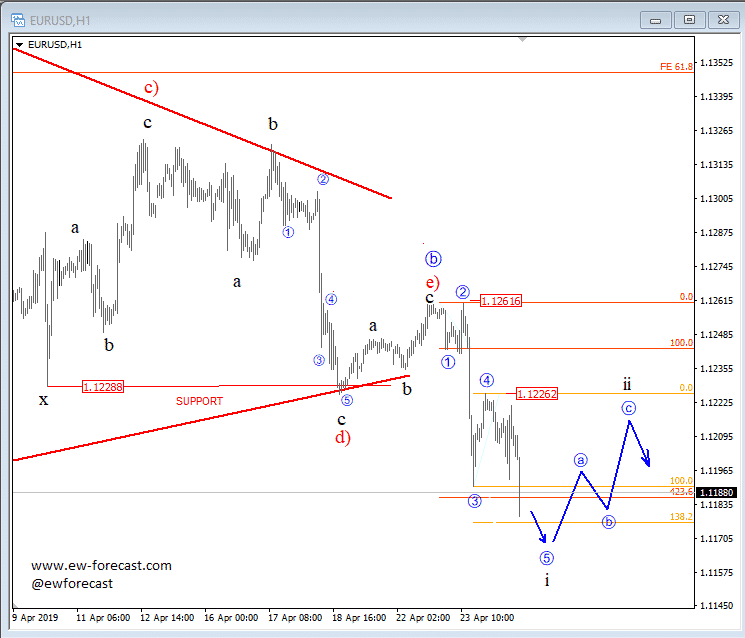 The apps are all rather simplistic and their charting/technical analysis abilities reflect it best. Remember to turn your phone to landscape position to gain access to additional TA features. All apps support more than 250 tradable assets, focused on FX currency pairs and cryptocurrencies. 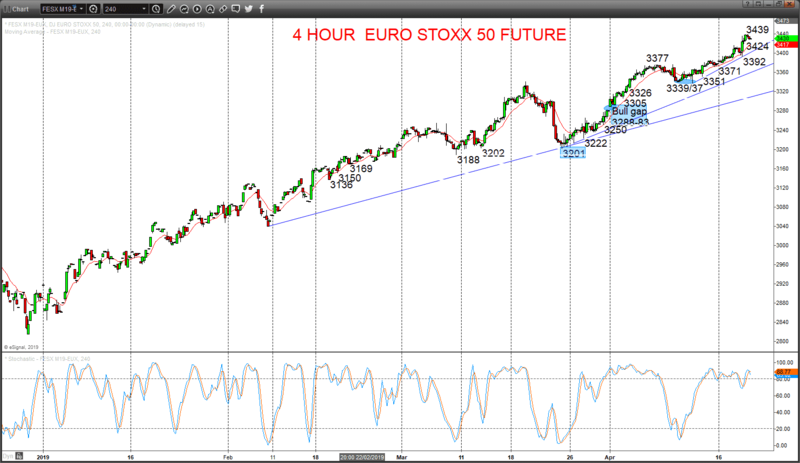 Spot metals and indices-, commodities-, and shares-based CFDs are also supported. Remember to sign up before downloading the trading app. 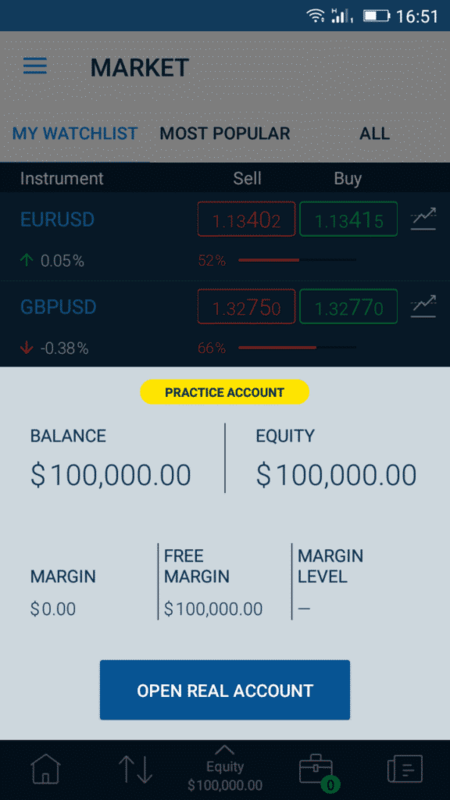 Like most online FX/CFD brokers, AVATrade has made available mobile apps for Android and iOS devices. The apps, which essentially look the same and work the same way, are fairly run-of-the-mill. They offer access to more than 250 tradable assets and feature leverage of 1:30 on some of these assets. The Android version is obviously the more popular. More than 100,000 people have thus far downloaded it. 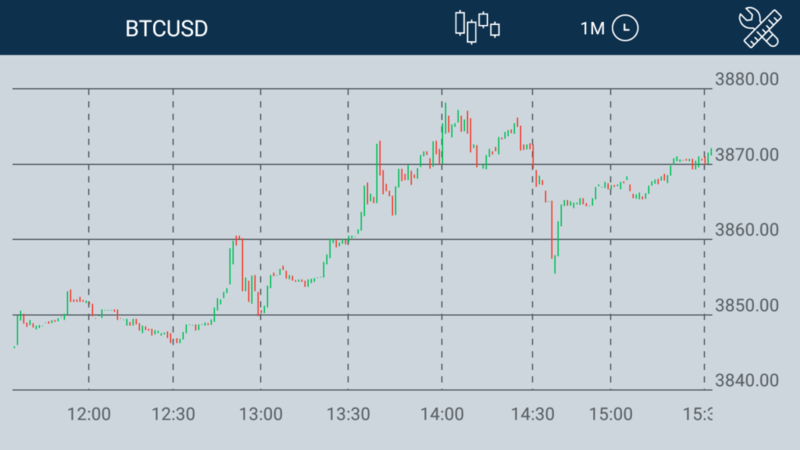 While there are some complaints regarding overall usability, technical analysis features and some practices on the part of the broker, the majority of the user feedback is positive. Downloadable for free, AvaTradeGO is only 13Mb big. It can be installed in under a minute and it comes with a great practice mode option, which can be activated just as quickly. It makes after all perfect sense for traders to put the app to the test in virtual money mode, before they use it to invest real money. Opening a position through the app is as simple and straightforward as possible. 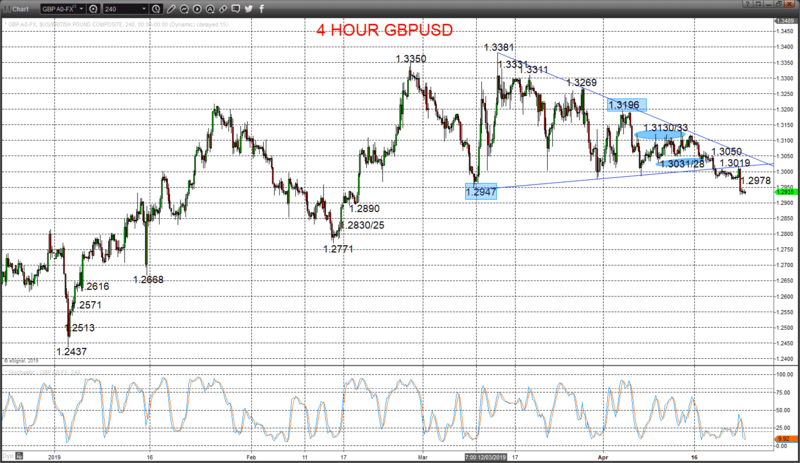 All one has to do is to navigate to the market section and select a currency pair/tradable asset. 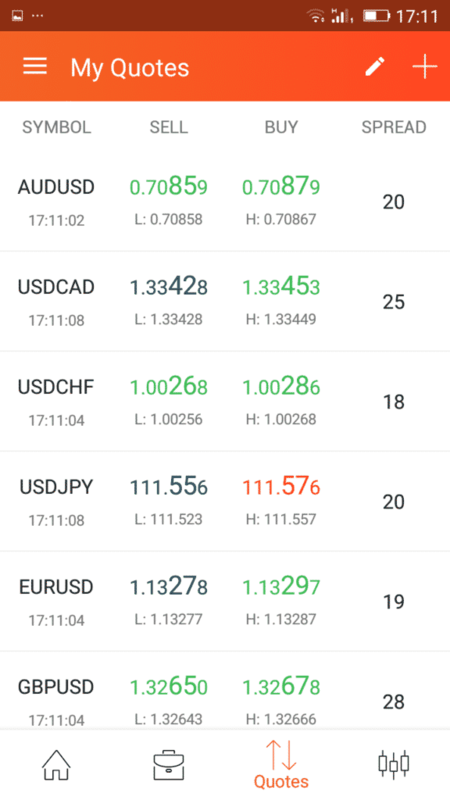 The dashboard of the app features a horizontally scrollable watchlist as well, so tracked assets and currency pairs can be traded directly from there. A relatively standard Menu button in the top left corner provides access to the Trade History, one’s open positions, the Market section, as well as to the My AVA Account section. 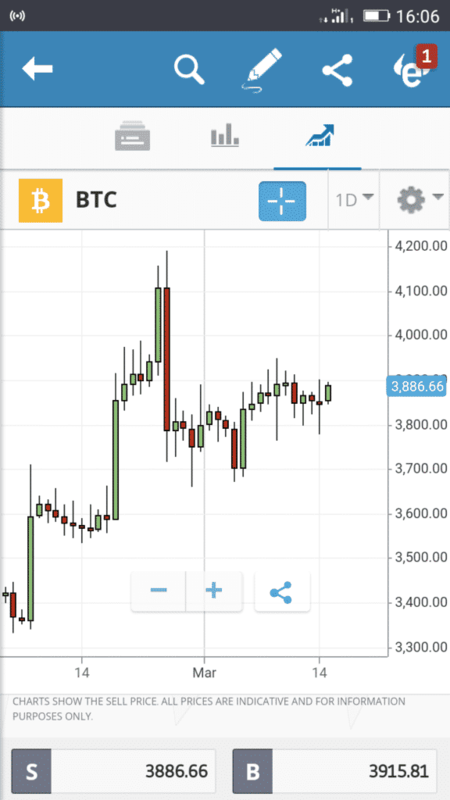 The app also offers a direct chat option with AVA support, as well as a number of technical tools, such as Pivot Points, MACD, RSI, and a handful of other indicators. Charts can be viewed in landscape mode. As mentioned, the iOS version of the app is effectively a copy of the Android one. Interestingly, size-wise, it is much heftier. iPhone and iPad users will have to download 76.7MB – rather surprising given the relatively simplistic nature of the app. The iOS app is available in an impressive number of languages. Besides English, French, German, Italian, Chinese, Spanish, Russian and Arabic are all supported. Upon its launch, the iOS app used to feature a $12,500 bonus. Traders can access the Education Centre through the app, to brush up on their trading skills on the move. Both mobile apps support real money deposits and withdrawals, as well as account registration. The Market Trends feature is claimed to be a technology unique to the AvaTradeGO platforms. Please share all comments you might have on these trading apps in the comment field below.